Have cleaning routines. Even the youngest kids can be taught basic cleaning skills, even if it is something as simple as putting their clean clothes away or putting all their stuffed animals in a basket when they are done playing. Prioritize. If your family schedule looks like ours, you are constantly on the go between school, scouts, and sports. This can leave very little time for cleaning, so decide on a few key areas that are not negotiable when it comes to cleaning, and give yourself a break on the rest. Call in the professionals. It is so much easier to keep your house in tip top condition when you start out with a deep cleaning. 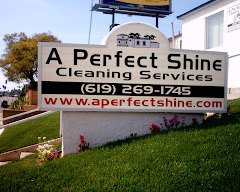 A Perfect Shine can come out to your home and do a deep clean of your house for you on a regular schedule so that you can stay on top of your housework more easily. Imagine what a relief it is to come home to a house where someone else has cleaned your bathrooms and mopped your floor for you, freeing you up to spend important time with your family. 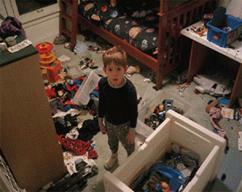 We have found that having a crew come to our own house has even helped our kids to keep their rooms cleaner. When they know the cleaners are on their way, the kids have to pick up all of their toys and clothes, and make their beds. This has led to them keeping their rooms neat and tidy much of the time. Having a professional cleaning crew come regularly to our home has not made our kids lazy when it comes to cleaning, but gives them the clean, orderly foundation that is much easier for them to maintain. Call our office today to schedule a cleaning of your home, it will be a gift your whole family will benefit from. Why not relax and enjoy the holidays this year?